online, yoga, ayurveda + selfcare in South London, Streatham and in Worthing, Sussex. This website and our offerings on and off the site are out of my love and passion for yoga – and ayurveda. I started yogaembodied and teaching yoga more than a decade ago after 10+ years of practising. The name yogaembodied signifies that yoga is not just something we do for 75 minutes once a week as an exercise. Rather, yoga starts to infuse our way of living and approach to life – on and off the mat. To embody yoga and it’s philosophy is a work in progress. Classes are really an opportunity to uncoil from the day and stretch emotionally, spiritually and physically. The only danger is on leaving I might walk into oncoming traffic so blissed out!! 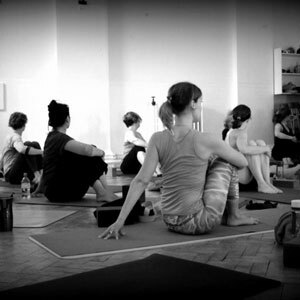 At yogaembodied we offer flow classes as well as prenatal yoga – live classes and online. Workshops and retreats. I have a blog on all things yoga, ayurveda, health and wellbeing. I currently offer 2 flow classes and 1 prenatal class. Please visit here for our timetable and here for our bios. It is my hope you will feel inspired to start creating balance in your life. Laura will guest teach on the following days. Please book as usual.